Combining traditional charm and exquisite execution, the Stickley Lancaster Collection upholds the refined grace of the past but with a modern sophistication. 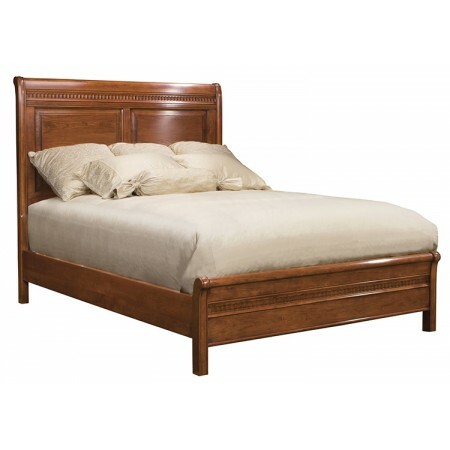 Curved and flared posts frame a striking headboard with sharply scalloped moulding detail above two deeply framed panels, designs that are mirrored in the low footboard. Available in solid cherry.